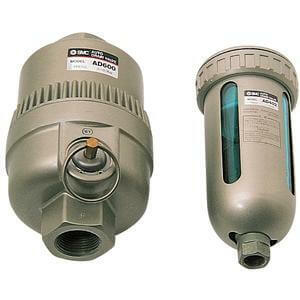 The AD402/600 series auto drain valve automatically discharges drainage. It is highly resistant to dust and corrosion. This series operates in a reliable manner, without requiring human operators. A case guard is provided as standard equipment.